The life of a zany doll collector. Sarah, also known as Sarah J Sequins, started her blogging life off as a beader and jewelry maker. This was fun, but she realized that too much of the same thing over and over and over drove her crazy -- and that she needed a beading hiatus. 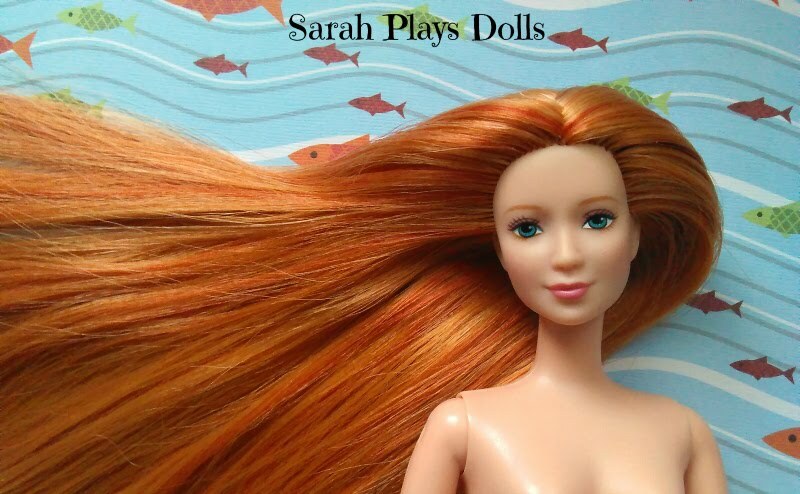 She rekindled her love of collecting and customizing dolls and soon began making clothing for her plastic friends, creating rooms for them in her former bookshelf, (sorry, books!) rescuing stuffed animals from thrift stores, and making up personalities for all of them. Sarah was happy with her new toy family. She was also lonely for other doll and toy collectors, however, and started following doll blogs and channels on Youtube. Not technologically sophisticated enough for a channel of her own, she created this blog as a place to share her misadventures. She also enjoys telling and listening to scary stories, making little pies, and writing about herself in the third person. She is married to Uncle John, who is an uncle to the dolls and not to her, thankfully. Because this is not a VC Andrews novel. This blog will feature dolls she has rescued and customized, interesting finds from her trips to various thrift stores, and the antics of Domingo Flamingo and his ostrich friends, Pickle and Peanut. And also, anything else that comes to her daft little mind. LOL@"not a VC Andrews novel" - whew! I don't read those. VC Andrews wrote some crazy stuff! Flowers In The Attic was pretty good, but from there, things got progressively stranger. My Sweet Audrina was just plain creepy.